On the storefront, Recently automatically detects a visitors language from their computer settings and displays the notifications using a template in their language. If a template for that language has not been created, English will be shown in instead. Clicking the dropdown button under Translations, will allow you to select and edit edit the templates for a language. Templates for the most popular languages have already been created for you. The online store template is used to display notifications for orders that were created online. 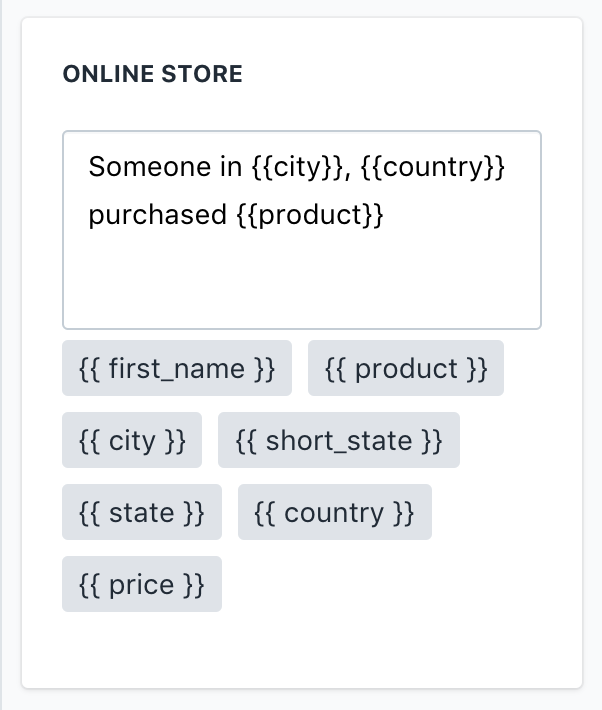 Use the available tags to add data in the context of the message. 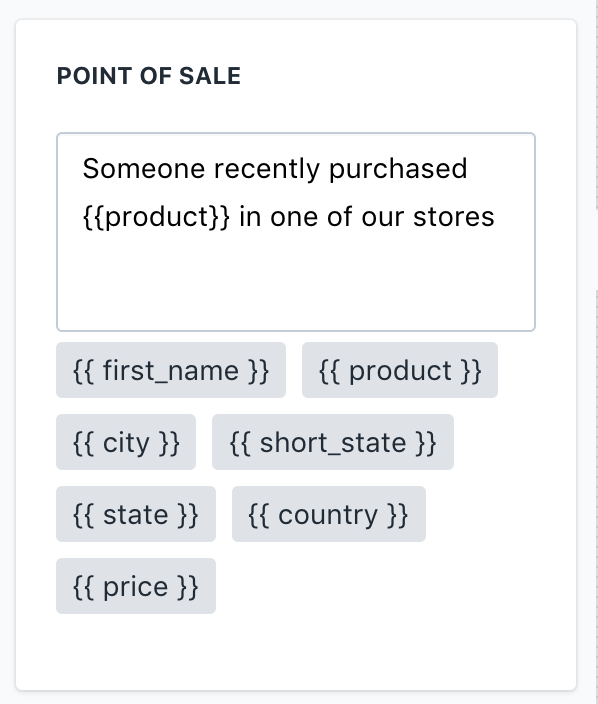 The point of sale template is used to display notifications for orders that were created by Shopify POS. 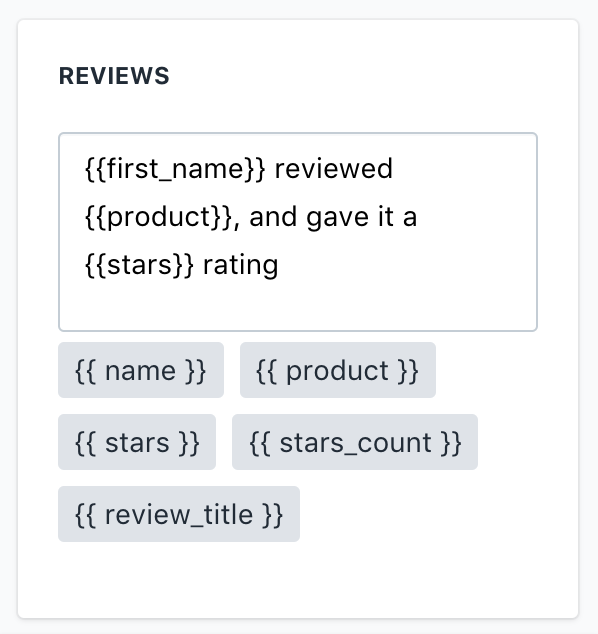 The reviews template is used to display notifications for reviews that were created by one of our review integrations. Currently we support Shopify Product Reviews and Judge Me.